Peter Salerno Presents: Essentials for Your Super Bowl Man Cave – Design Your Lifestyle. January 2014 Peter Salerno, Inc.
Super Bowl XLVIII is right around the corner, and if you’re like us, you can’t wait to throw a big party in your custom-designed, world-class man cave. Wait – what’s that? You don’t have the world’s best man cave? No problem. You don’t need a walk-in humidor, a hand-crafted wine cellar or custom-built leather recliners to have a great “man cave” for your Super Bowl viewing party. What you do need are a few helpful tips from Peter Salerno, the creator of “Man Cave Classics”, one of the world’s foremost interior designers and recipient of an unprecedented 23 NKBA design awards over the last decade. 1. Make your bar unique, eye-popping and memorable. 2. Make sure you have plenty of comfortable seating. Your man cave should be a place to hang out, crash and relax. Make sure there’s plenty of space and seating for you and your buddies to lounge around without feeling cramped or uncomfortable. You don’t have to spend a fortune on recliners and sectional sofas – just make sure that there’s at least one more seat than the amount of guests you expect (just in case someone brings a friend). Oh, and as far as your own seat? Make sure you designate a chair of your own – every master of a man cave should have his favorite place to sit! 3. Make the decor personal to you. When you think of a prototypical man cave, a few things instantly come to mind: animal heads mounted on the wall, tacky bearskin rugs, and so on. Don’t go the conventional, “over done” route – make your man cave your very own! A great idea is to personalize the decor in your man cave with items, art and designs that showcase who you are and what your life is all about. For example, Peter Salerno designed one of his man caves with a professional graffiti artist, who “tagged” the walls with an awesome city skyline as well as the initials and names of his family, friends and loved ones. 4. Offer more entertainment options than just TV. At some point, guests to your man cave will want to do something other than sit around and watch TV. At this point, you need other forms of entertainment to keep them occupied. Peter Salerno and his team suggest a form of physical activity: pool table, air hockey, old-school pinball machine, etc. Keeping your guests spread out around your man cave also ensures that everyone mingles, no one feels cramped, and there’s plenty of room for everyone to feel comfortable, relaxed and never bored. 5. Add the element of surprise. What if a bookcase in your man cave hides a hidden door to your garage, a cigar room/humidor or the rest of your house? How about having your TV hidden behind a large mirror? 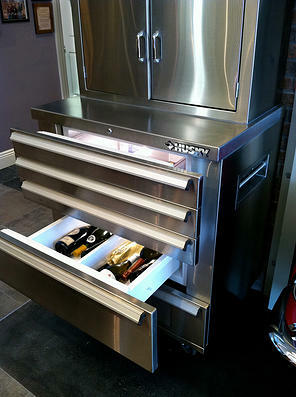 Or perhaps you could have secret shelving units for your liquor, games, or other man cave “treasures”? These are just a few ideas to take your man cave to the next level. The element of surprise will not only entertain your guests, but take the “Wow” factor of your man cave through the roof. Imagine giving your friends the man cave experience of their lives, and then springing one last secret on them – how great is that? These are just a few ideas to make your Super Bowl man cave “super” indeed. 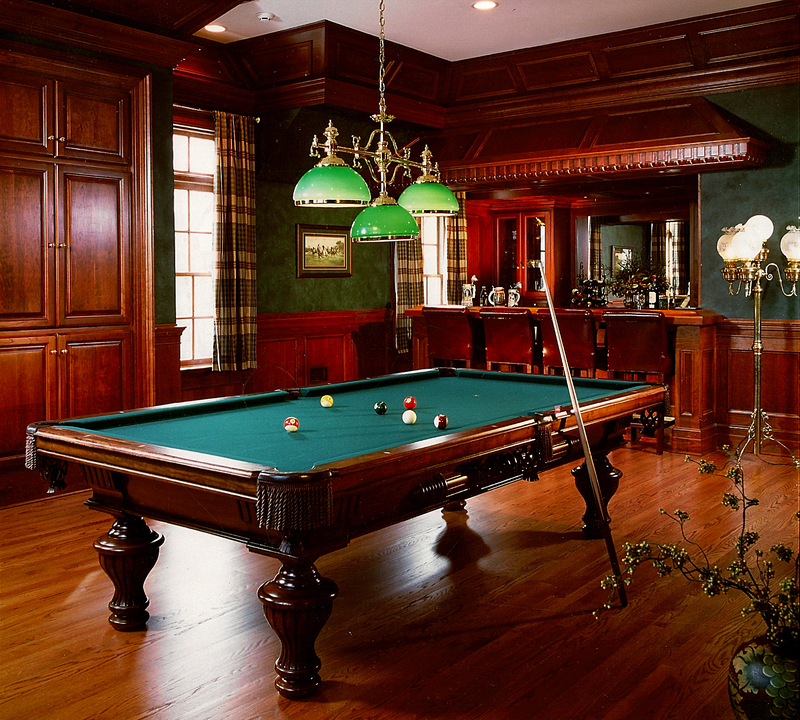 If you want even more great ideas regarding custom man cave, wine cellar, cigar room or game room construction and design, then you’re definitely going to want to contact Peter Salerno and create your very own Man Cave Classic!